A visit to the famous Mexican apparition site for the Dec. 12 feast. Am I not here who am your Mother? Are you not under my shadow and protection? Am I not the fountain of your joy?” These are the words that the Blessed Virgin Mary spoke to Juan Diego in December 1531 on the very site that a church and shrine now stand in her honor — and which are remembered each Dec. 12. 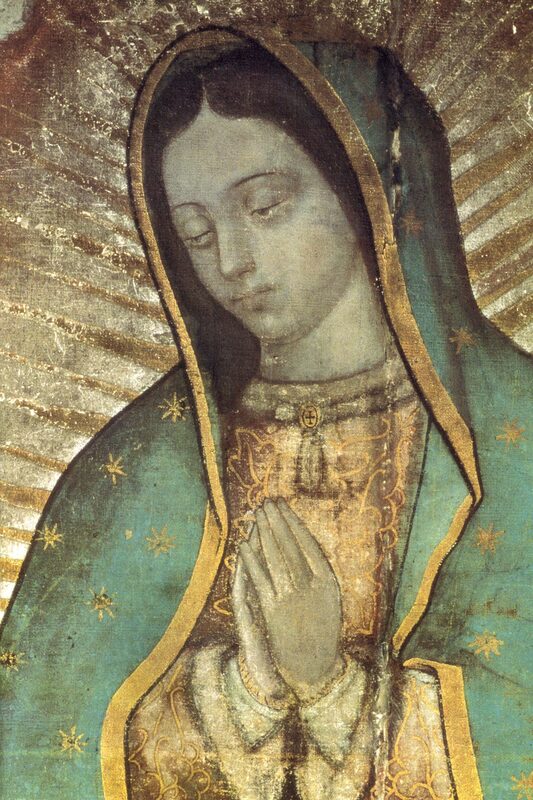 Juan Diego, an Aztec convert to Catholicism, first encountered the Blessed Virgin on Tepeyac Hill, a rural area north of what was then Tenochtitlan (now Mexico City). The Virgin appeared to Juan Diego and told him that she wanted a church built on the very spot she was standing so that the entire world could know of her compassion. She instructed him to tell the bishop of Tenochtitlan. So the simple peasant immediately rushed to the bishop’s office, where he was wary of the rural farmer’s story. Discouraged, Juan returned to the spot where the Virgin was waiting for him. She again ordered him to return to the bishop and share her request. The bishop, still skeptical, requested a sign. Consequently, the Lady told Juan to cut the roses that were growing behind him and offer them to the bishop. When he turned around, he saw a rose bush that had not been there before — and it was in full bloom, despite the winter season. So Juan stuffed the white roses in his tilma, or poncho, and headed directly to the bishop. At the bishop’s office, he opened his tilma, and the roses fell out on the floor. But what was most surprising to both men was seeing an image of the Virgin — just as Diego had been describing her — imprinted on his tilma. At last, the bishop had his sign. Continue reading……….. This entry was posted in Blessed Virgin Mary and tagged Apparitions of Mary, Fr. Barron. Bookmark the permalink.